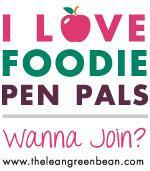 I received a wonderful foodie pen pal box this month from Teresa. I asked for a mix of healthy, savoury, non spicy items that I could cook with. Teresa rose to the challenge and in the beautiful flowered card she noted that, while it wasn't what she'd usually shop for, she'd had fun putting the box together. The cashews and bag of fruit and nut mix were the first things to disappear. The cashews disappeared before I'd even taken this picture so I had to hide the empty bag at the back. I couldn't wait to get into those cashews! There was also an organic instant miso soup. A big bag of poppy seeds. I always put these in bread, what else could I use them for? Some Dukkah spice. I've not tried this before, I do like finding something new. And two lovely little bottle of sauce which both smell heavenly. I can't to use it all, the barbecue sauce probably won't make it past the weekend. I love it when everything from the box gets used up quickly. 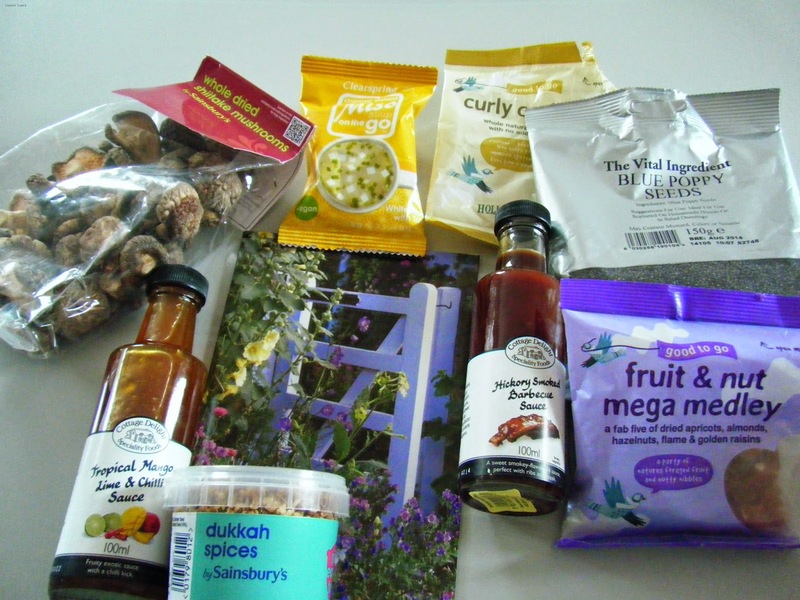 I'm going to take a Foodie Pen Pal break over the summer holidays and box swapping updating will continue in the autumn.